PIH Boston hosts guest speaker, C.J. Williams, Director of Community Engagement and Digital Strategy for Mass. Citizens for Life, to speak about her vast experience as a witness to the sanctity of human life. 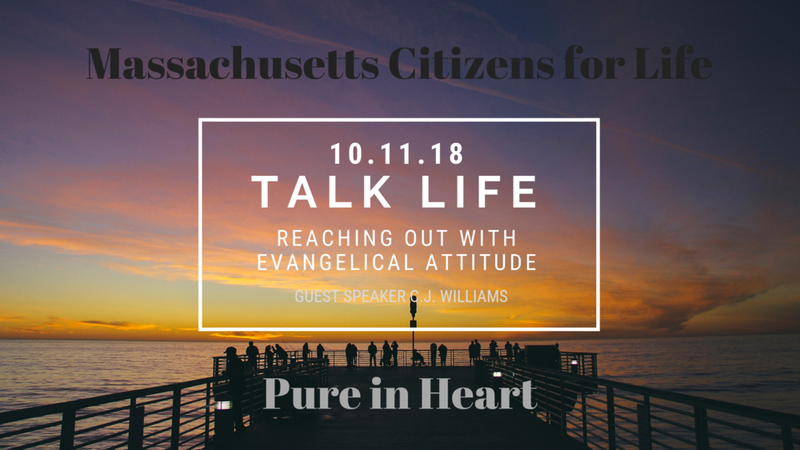 She will present tangible ways PIH members can put prayer into practice and get involved in service that highlights and upholds the dignity of the human person right here in Boston. NOTE: PIH Boston meets in the UPPER ROOM at St. Clement Shrine. Walk to the very front of the church towards the altar, turn right, go through the double doors and walk up the stairs. Join us for the entire prayer meeting or just the talk!